Kevin Welch grew up in Oklahoma. He already toured as a teenager with several bands, before he moved to Nashville in 1978 to work as a songwriter. Singers like Ricky Skaggs, Waylon Jennings, Patty Loveless, Garth Brooks, Trisha Yearwood and Don Williams were using his material. At the same time he was very active in local clubs, performing with John Scott Sherrill and the Wolves In Cheap Clothing, The Roosters, and finally his own band - The Overtones. His popularity grew and in 1988 he signed a record contract with Reprise Records. In 1990 the album Kevin Welch was recorded and 2 years later Western Beat. 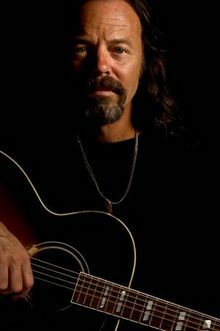 The former produced four charting singles on Hot Country Songs, including "Til I See You Again,"
In 1994 he co-founded Dead Reckoning Records along with Kieran Kane, Tammy Rogers, Mike Henderson and Harry Stinson. The following year Life Down Here on Earth was published and in 1999 Beneath My Wheels. The majority of songs are Welch's originals. In 2002 the album Millionaire was recorded partially in Nashville and mostly in Denmark with a stellar line-up of Scandinavian players. In 2004 Welch teamed up with fellow Dead Reckoning artists Kieran Kane and Fats Kaplin to produce You Can't Save Everybody. The trio followed this up with Lost John Dean in 2006, to general acclaim. Lost John Dean reached number one on the Americana charts, and resulted in nominations for several awards including Duo/Group of the year at the 2006 Americana Honors and Awards. The following eponymous Kane Welch Kaplin, with the addition of Lucas Kane, was also nominated for Duo/Group. The group traveled to Australia 10 times, as well as Europe and the UK, Canada, and all over the United States. Throughout the 2000s, Welch teamed up with Australian band The Flood. They have recorded albums and DVDs together, and toured the country twice. Kevin is presently touring to promote his latest album "A patch of blue sky".